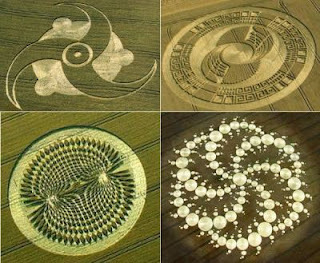 Continuing with another fascinating video on Crop Circles ... Here's 'Star Dreams - The Crop Circle Phenomena' ... A 77 minute documentary which shows the circles themselves for all to see and presents the top crop circle researchers. Investigating the over-all assumption of hoaxing, balls of light, sacred site connection, media and people’s reaction to the phenomena, and outlining the basic understandings arrived at so far. Images of the major crop circles, interviews with top researchers and a narrative line dealing with the mysterious aspects of the phenomenon.